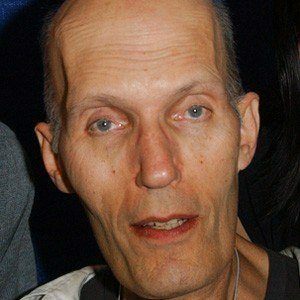 Dutch actor well known for his recurring role as The Giant in the ABC mystery series Twin Peaks as well as Lurch from The Addams Family and its subsequent spin-offs. He was discovered on the streets of Los Angeles by a woman who declared that she needed him for a movie which led to his debut in Sgt. Pepper's Lonely Hearts Club Band. He is also well known for his role on Star Trek: The Next Generation as Mr. Homn. He has two children with his wife. He appeared in the 1997 film Men in Black, starring Tommy Lee Jones.